Paul Whittaker has very kindly created some signed videos for this years Friday Afternoons repertoire which should be appearing on the website shortly. Keep your eyes peeled! Last week we ran some very successful workshops at Music for Youth with a mix of both age groups and style. On Tuesday 7th July we were joined by Dominic Peckham who took Nico's original songs and created something unique which the children really enjoyed. On Wednesday, Tom Appleton was taking the workshops, and he taught the children of Brackenfield and Yardley Primary Schools and extremely entertaining warm up. We are looking forward to sharing these with you on our soon to be updated YouTube channel. For more information and photos about/from our time at Music for Youth, click here. Thank you to Lydia Machell at Prima Vista for all her work on our fantastic Braille scores. To browse and download these scores for free please click here. Friday Afternoons has launched its 2015 Britten Young Songwriter Competition, with young people aged 18 and under invited to submit a new song suitable for children's voices. 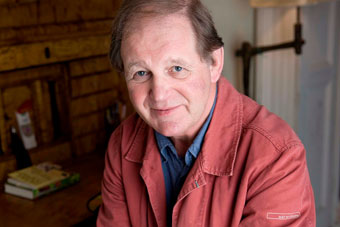 This year, acclaimed author and poet, Michael Morpurgo, has specially written a poem - Waves of Time: A Song of Southwold - for you to set to music. To find out more about how you can enter, and for the opportunity to have your song professionally recorded and performed live at Snape Maltings Concert Hall, click here.